A couple weeks ago, I arrived at the office like every other day. I sat in our open space, launched my apps, put my headsets on and started working. However, this day had nothing ordinary. 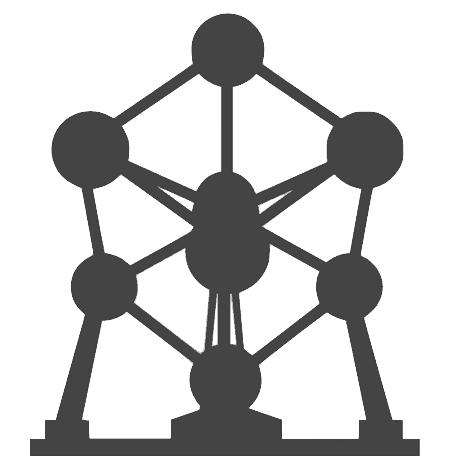 My Aircall app started ringing and when I picked up the call, I had a surprising request… A web agency wanted to develop a pop-up event in Brussels following the terrorist attacks that took place last November. This was the Call Brussels project. The attacks had unfortunately deterred people from visiting Brussels as they were scared for their safety – the city now suffered from a bad image and tourism activity had decreased. The municipality wanted to restore its status and bring back travellers. The concept was simple. They wished to install three special phone booths in Brussels to which people around the world could call and ask locals for information about everything going on in the city. Was it safe to travel there now? What was the best thing to do there? The idea was to promote the culture and reassure people abroad that all was back to normal in Europe’s Comics city. I am based in Paris and we had just witnessed similar attacks there. I was still affected by them and was interested in contributing to such a project. I pitched the ideas to the team and everybody got onboard! We started to brainstorm together to see how we could set everything up. The web agency was developing a website with click-to-call buttons to reach the phone booths dispatched in key areas of the city. Every time someone clicked on one of these buttons, it would trigger a phone call to one of the phone booths. The spots that had been picked out were Flagey, Molenbeck and Mont des Arts – they had been identified as the most famous in Brussels following the news of the attacks and were classified as dangerous according to public opinion. The whole Aircall team decided to be part of this project and was pretty excited about it. We would be fighting our part at our own little scale. And it was truly thrilling to have all this powered by Aircall’s technology! From January 7th to 11th, 12,688 calls had been made through the website and 2,404 of them were answered by a local in Brussel. People were calling from all over the world: France, Italy, Spain, UK, Germany, Holland and even the US. People from 154 different countries called to ask how things were going in Brussels. Watch this 2-min video to get a better feeling! It’s amazing to witness the excitement the project generated and seeing it become such a success. Especially as we were were really stressed out being the last link in the chain! We really enjoyed it though, and believe it could be interesting to have a similar project happening in Paris. We even pitched it to the municipality so stay tuned, it could be happening there too! All in all, I wanted to write this article to share how your every-day work can lead to accomplishing great things at your own scale.